This guide offers specific objectives and learning strategies for achieving the competencies outlined in Core Competencies in Healthcare Ethics Consultation. 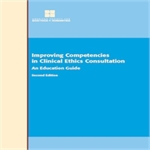 It is intended to be used by providers of ethics consultation in healthcare settings including hospitals, nursing homes, and rehabilitation facilities; by healthcare professionals who have volunteered or been recruited to serve on ethics committees; and by universities and academic medical centers in developing ethics consultation and training programs. The authors are bioethicists from a variety of disciplines with many years of experience as healthcare ethics consultants. All have worked at the bedside, seen ethical dilemmas arise, and learned from people who live out difficult choices. 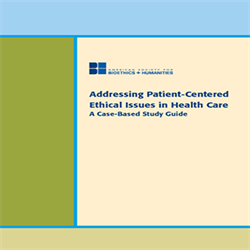 In this book they outline the core knowledge, skills, and responsibilities needed to improve the knowledge base and skill set of those participating in healthcare ethics consultation. 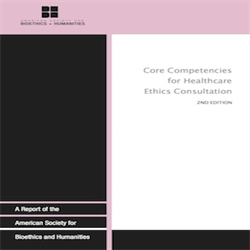 The second edition includes updated references as well as the ASBH Code of Ethics and Professional Responsibilities for Healthcare Ethics Consultants. Take advantage of $5 discount on each copy of orders 21 or more. ASBH members save $5.00 USD or more!